Kick off your visit on the 4th (Sat): explore and take pictures at The Farm Byron Bay, enjoy the sea views from Cape Byron Lighthouse, then tour the pleasant surroundings at Cape Byron Walking Track, and finally relax and rejuvenate at some of the top local wellness centers. Here are some ideas for day two: add some adventure to your tour with a kayaking and canoeing tour, let the kids burn off some steam at Crystal Castle & Shambhala Gardens, and then take in the exciting artwork at Tweed Regional Gallery & Margaret Olley Art Centre. 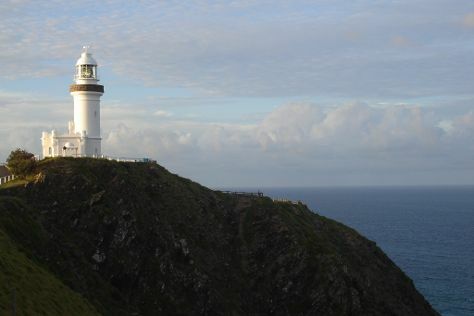 For where to stay, photos, ratings, and tourist information, use the Byron Bay tour planning site . In May, daily temperatures in Byron Bay can reach 27°C, while at night they dip to 12°C. Finish your sightseeing early on the 5th (Sun) so you can travel back home.